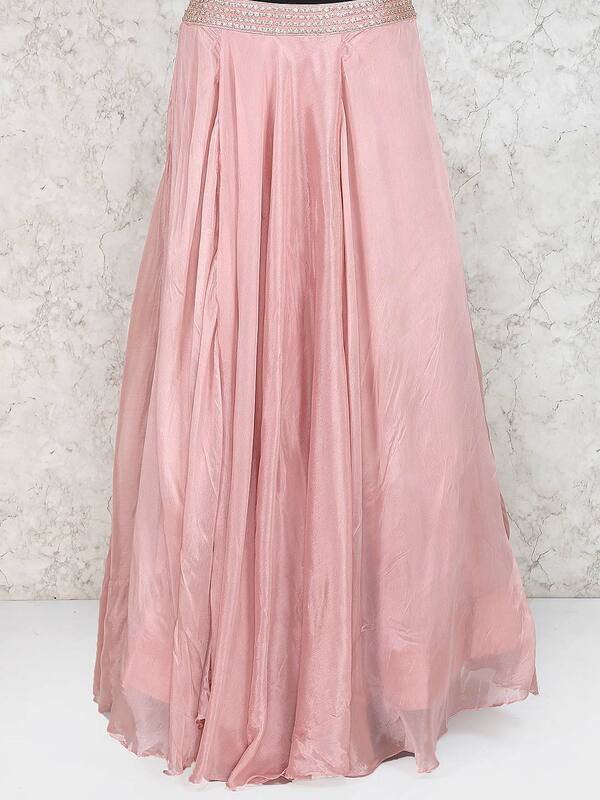 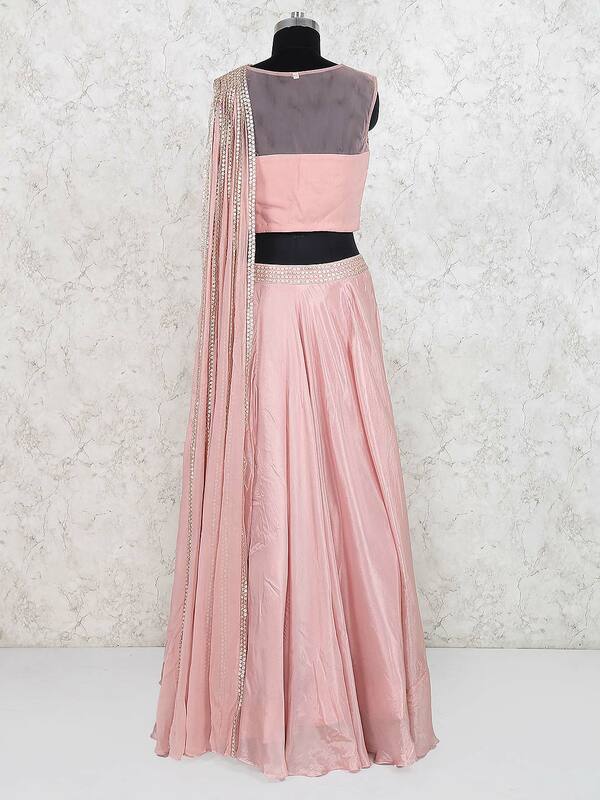 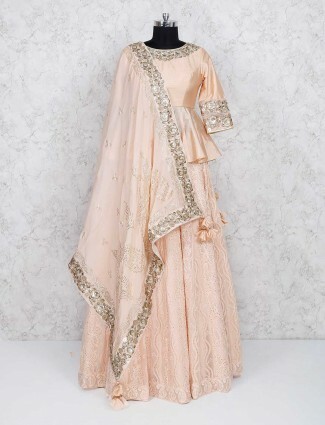 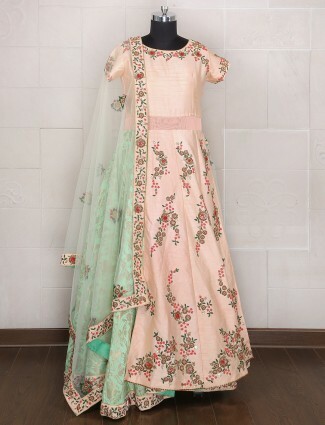 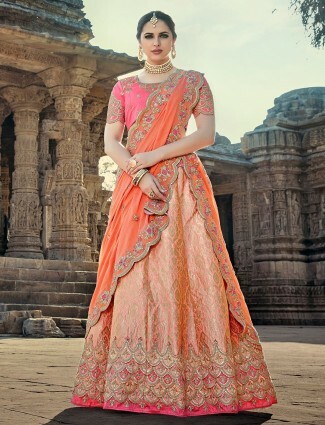 Give an ethnic touch with this wonderful peach colored lehenga choli. 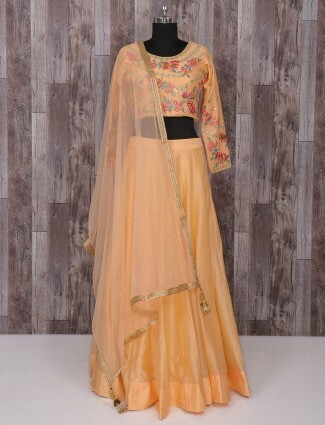 Beautify with zari and sequins work. 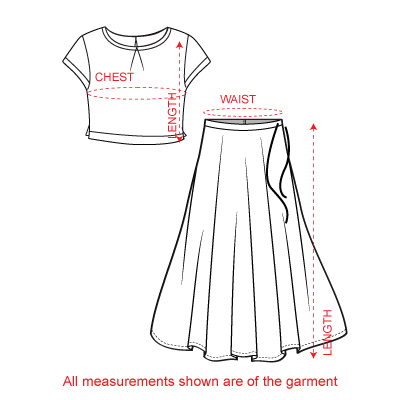 Featuring round neck and sleeveless design. 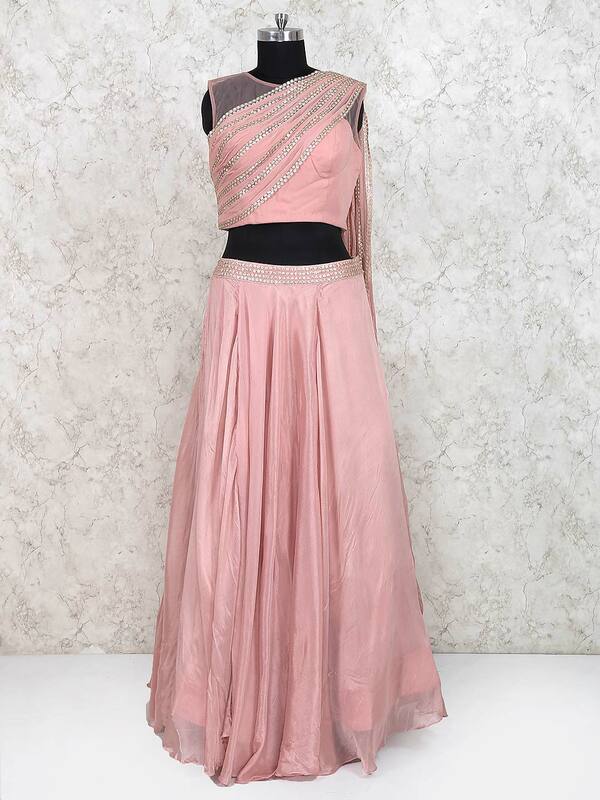 Ideal for festive wear.